Venturi is designed in accordance with international standard ISO 5167. Forged flanges offered based on international standards ANSI, ASME, DIN, JIS, BS, API, etc. This is a classical Venturi tube fabricated as in which the convergent section is machined as are the throat and the entrance cylinder. 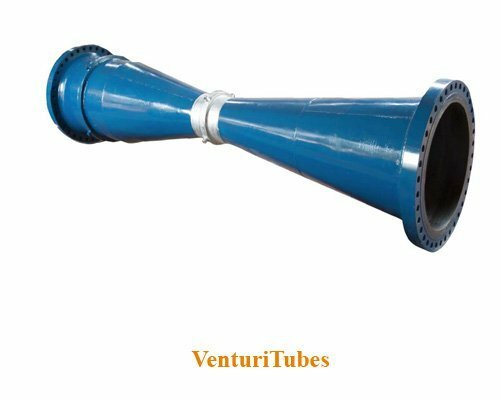 These classical Venturi tubes can be used in pipes of diameter between 50 mm and 250 mm and with diameter ratios β between 0,4 and 0,75 inclusive. 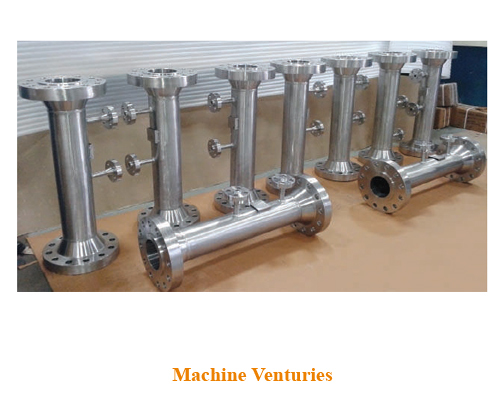 These classical Venturi tubes can be used in pipes of diameter between 200 mm and 1 200 mm and with diameter ratios β between 0, 4 and 0, 7 inclusive. Stud / Nuts: ASTM A193 Gr. B7 / A-194 Gr. 2H as standard, other material on request. Jack Screw: ASTM A 193 Gr. B7 as standard, other material on request. Certifications: CE, GOST R, IBR, etc.